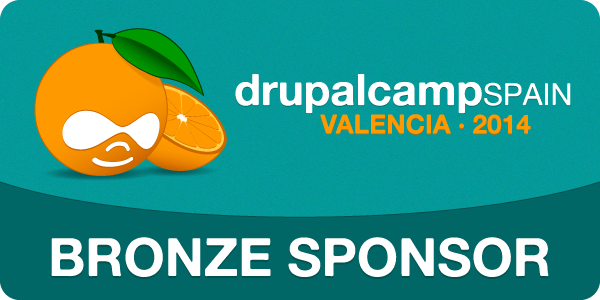 The DrupalCamp Spain of Valencia is expected to be a very interesting event full of sessions, workshops, sprints, trainings, business day... and mainly Drupal, a lot of Drupal. Our team will participate, as well as many other community members from the rest of the world, so from here we hope our desires to participate are shared by many so there will a maximum attendance from the Drupal community. A DrupalCamp is open to everybody, from any level, and is great to discover or to learn Drupal, contribute, make contacts and especially having fun. A remarkable new of this year is that there will be a «Business Day» on Friday May 16th, oriented to do networking and make contacts between companies, that most probably provide business value to the biggest national Drupal event. Ymbra will be there and we hope it will be very interesting. If you already didn't , buy your ticket now and get ready to enjoy the most important national Drupal event in this year.